What Is The Difference Between Leadership & Followership? What Is The Difference Between the Leadership & Followership? What is leadership? The term leadership refers to the act of leading. We often refer to an individual or a group of people who influences people through motivation and ideas for betterment. Every organisation or company requires a leader for executing tasks among the employees. Not only in the corporate sector, but leadership is required for broader purposes like running a country. A leader contributes in leading his team towards a positive direction where they learn the value of hard work, importance of time and establishing goals. A leader is the ultimate epitome of inspiration for his followers. Who is a follower? The concept of followership took place with leadership simultaneously. A follower is a person who is inspired and influenced by a leader. Without followers, the leaders cannot exist. It is the follower who makes the leader believe in himself that he is doing good to others. They are the ones who take the teachings of a leader as the guide to life and as the ultimate source through which they get a direction of executing their tasks. A follower not only follows the footsteps of his leader, but also supports and encourages him for doing better. The relation between leadership and followership is straight. A leader leads whereas a follower follows. Both are complementary to each other. A leader cannot lead if there are no followers, likewise a follower cannot follow if there is no leader. 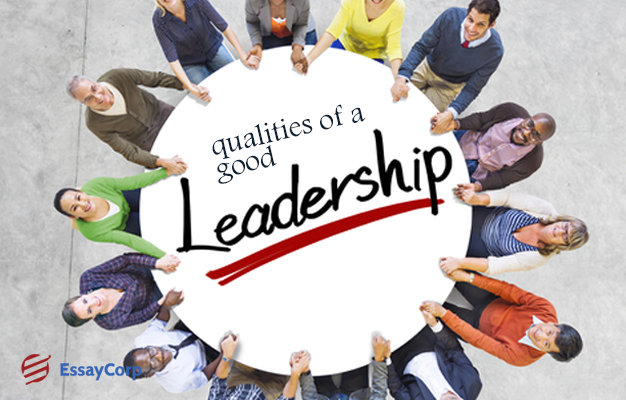 What Are The Qualities Of A Good Leadership? Honesty- Leadership comes with a lot of responsibilities, one of which is honesty. When you are leading a team of people, you are supposed to be honest in whatever you guide them. You are the one who they look up to. They take you as their inspiration and you are the most important source of encouragement. Traits Of Inspiring Others– When you get a group of new people to lead, they look up to you. They believe what you tell them. So, be wise when you talk to them. As a leader, when you interact with your team, they take you as their source of direction and inspiration. Ability To Build A Good Relation– Working together becomes easier when both the leader and the follower have a good relation between them. A friendly behaviour and technique to conduct the team is what makes the leader desired and loved by his team. It is the ultimate strategy to make people comply in accordance with the instructions. Appreciative– Appreciating your followers or team members is very important. Appreciation is the most significant in any job. When a person is appreciated by his seniors and colleagues, his confidence develops. 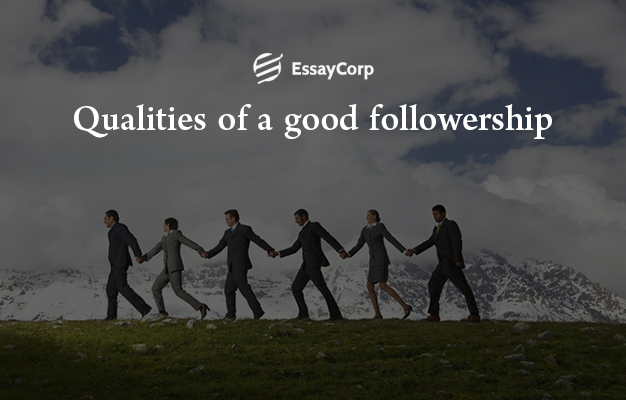 What Are The Qualities Of A Good Followership? Loyalty and obedience- For a dynamic followership, one has to be loyal to his leader. In a corporate world, the leaders play an important role in leading their team towards the goal. The followers should abide by the instructions given by their leader in order to achieve the target. Diligence– A follower has to be hard-working in order to make the teachings and instructions of the leader work. A task can achieve success only when the execution is correct and divided between the right people. Collaboration- This is the most vital characteristics of a good follower. The ability to work being a part of a group is what makes the job of a leader easier. Ambitious- Ambition is one such thing that boosts the chances of growth and success. A leader shows the path, whereas the followers walk on it keeping their ambitions in mind. What Are The Different Types Of Followership? Critics- Critics are such kind of followers who tend to question and oppose every move of the leader. They are usually passive. Critical type of followers are often the ones who have not been recognised for their work or have been denied appreciation. Loyalists– Loyalists are the ones who always stand by the leader. They are the true supporters of the leader. They always listen carefully to the leader and give true feedback. Opportunists– Opportunists are the ones who can be bought. They always go with the one who is already on the top. They are not loyal to the leader. Traitors– The traitors are the one who secretly hate their leaders and are disloyal. They cannot easily be identified. They have a strong dislike for the leader and conspire against him. Leadership and followership can be distinguished by their nature of conduct, but they are inter-related. Leadership can both be inherited and incorporated. Leadership skills are something that is the most essential aspect in today’s competitive world. 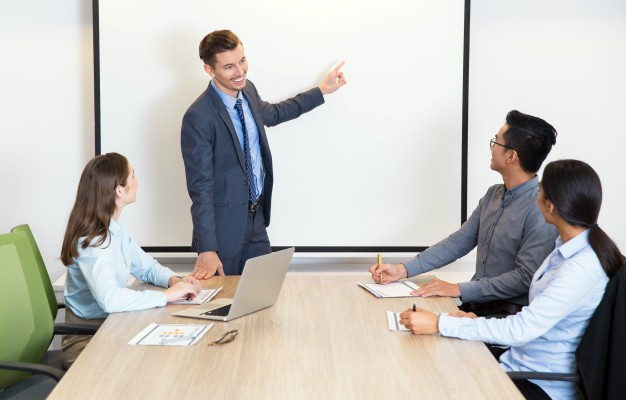 A precise leadership is essential not only in the corporate world, but the world as a whole in terms of education, economy, politics and many more. On the other hand followership refers to an individual or a group of people who look up to a leader to get a positive direction to life.